Prince Addison is only several weeks away from inheriting the Kingdom of Tarsurella. The entire Palace is ablaze with excitement, as the Royal Family prepares for the event of a lifetime. Despite the exciting event which is near at hand, Addison and his younger siblings (all seven of them!) must carry on with their daily activities. 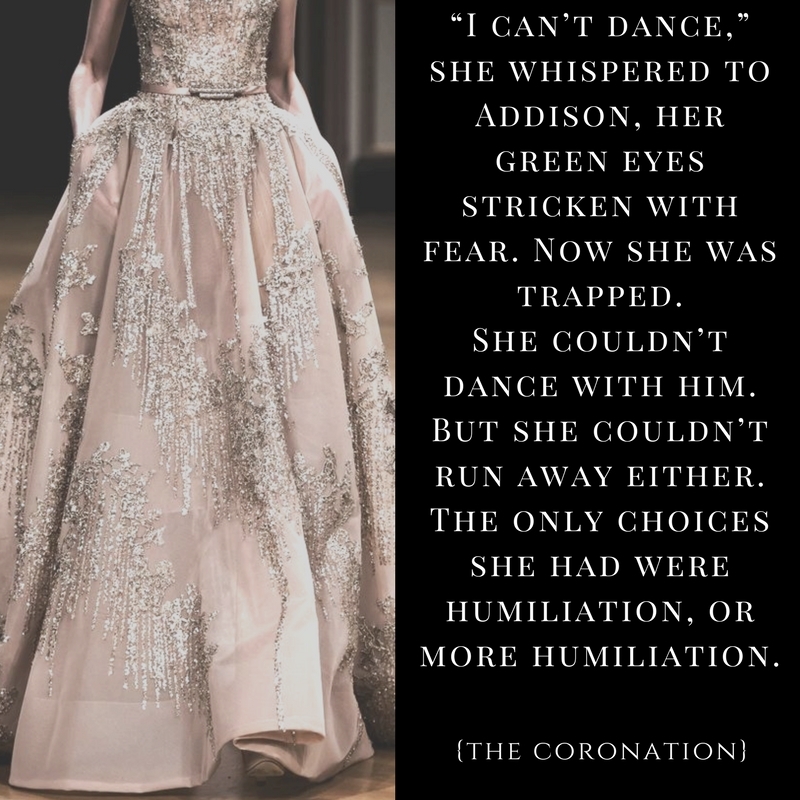 Addison’s sisters, Princesses Bridget, Chasity, and Hope, have their struggles with being iconic European starlets of a modern day monarchy. The teen heiresses grace magazine covers, smile for photoshoots, and gracefully glide through important interviews–until a certain American popstar arrives on the scene. Kennetic Energy, the wildly popular band from the United States, is chosen to play at Addison’s Coronation. David Carter, the band’s handsome lead singer, fumbles through awkward moments with Princess Hope–in front of the cameras. When an embarrassing rumor sparks that Princess Hope is dating the young fellow, she is determined to get the band fired from their Royal gig. Meanwhile, Princess Chasity is dealing with her own fragile affairs of the heart. Her new security guard, Hanson Fletcher, is completely captivating, yet entirely frustrating. She attempts to keep the entrance of her heart firmly protected, while following the wisdom of Proverbs 4:23. But can she be successful in guarding her heart, from her security guard? I had no clue what to expect when I picked up this book. Reading this genre was a huge step outside my comfort zone. I must say that I am glad I took the step, as I thoroughly enjoyed The Coronation! 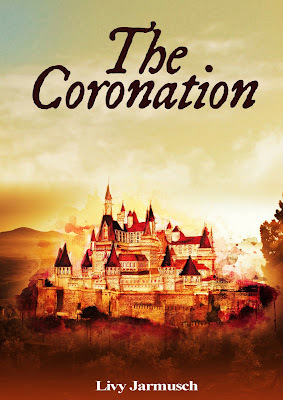 This is an absolutely wonderful story filled with princesses, castles, sweet romance, and ACTION. Seriously. I had no idea how much action would actually be in this book! And the characters' journeys were SO AMAZING. Like... it was beautiful, just beautiful. I was grinning so big at the end. The plot starts out as pretty typical -- a prince getting ready to take on the crown -- but there are several twists to it. First off, this said-prince has seven siblings! AND they are a family striving after Christ! Christianity was a HUGE part of this book, which I LOVED. Romance also plays a large role in this novel, and over half the plot revolves around it. I've never been a huge fan of romance-related plots, but this one was done very nicely, stressing "guarding your heart." I loved how it was presented with a Christian worldview. 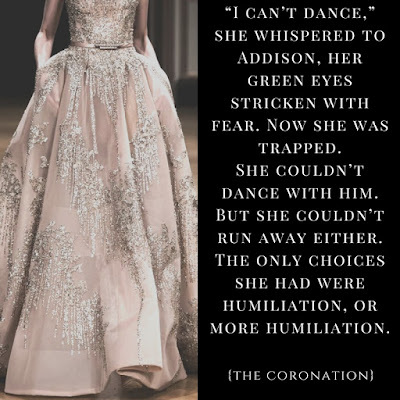 There were a few parts where the story lagged, like from the 25% to the 50% mark, mainly where the preparations for Addison's coronation came. I was thankful later for how slow it went though. Because the midpoint... just WOW. I had a sneaking suspicion that SOMETHING of this sort would happen, but could never have guessed just how it would come about. After that point, I was utterly hooked and could not put the book down. WHERE DO I START??? I mean, besides the fact that there are almost too many characters to mention here xD. At times I was a little overwhelmed trying to follow everyone's story, but I loved each character so much that I can't complain now. So I mentioned above that Prince Addison has seven siblings? You get to personally meet every single one of them in the novel! In general, Addison was my very favorite, as he was just so human. Despite the fact that he was about to be crowned king, he was still a big brother at heart. He had struggles, doubts, but strength and faith and was... might I say "perfect"? I really loved Bridget (Addison's oldest sister) and Vanessa as well. They were my next favorites, mainly because they were so believable and easy to relate to. I liked them better than Hope, Chasity, and Jillian (next three younger sisters), because Bridget and Vanessa weren't falling for random pop stars and security guards. Though Hope won me back in the end with how maturely she handled her situation. - This is a very Christian story. 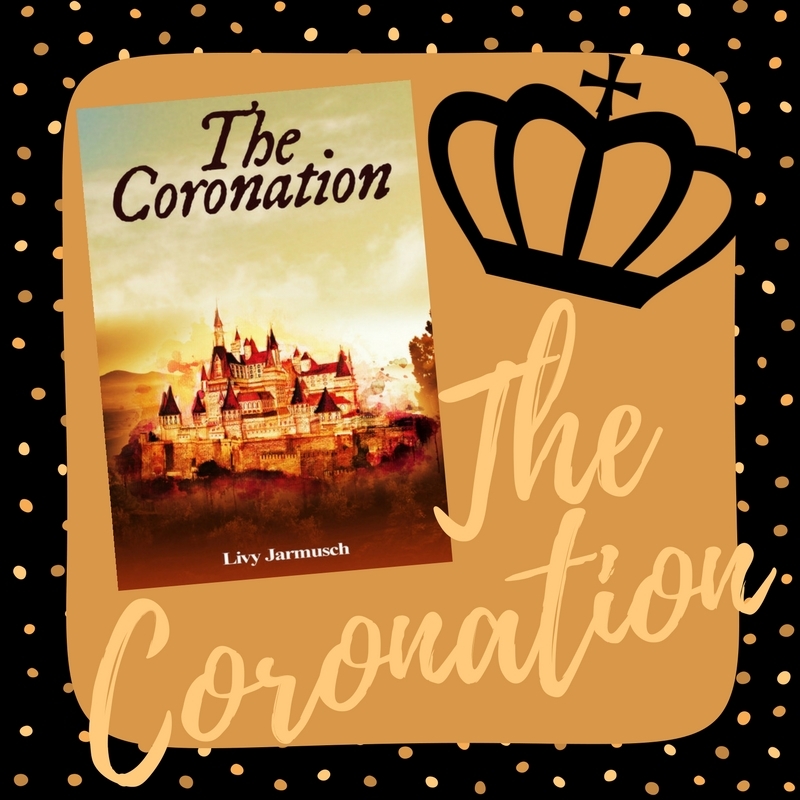 A few parts felt a little pushy, especially with how the entire kingdom was Christian, but in the end it was all right, as I felt that the characters really needed that in their lives. I applauded a lot of the messages in the novel..
- The romance. As I mentioned, it turned out beautifully in the end (with a message I feel a ton of teens these days need to hear.) I just had a few moments of exasperation as some of the princesses swooned over guys. In all though, the romance was pure and totally appropriate, which I highly appreciated. - Hanson. He was a security guard, and I was left confused when the whole deal made about his story seemed to vanish. - Asher. Okay, so I saved him until the end because I want to flail over him xD If you've read the book, I KNOW he isn't the best character to be totally fangirling about. BUT I always fall for the dark side characters who are extremely interesting to read about ;) He reminds me of a certain character I have in my own novel, and I look forward to hopefully seeing a lot more of him in the sequel and watching him change for the better! so I MIGHT have squealed a little bit when it came to this part of the story? just a little? And here are all the links so you can go stalk the lovely author herself! Livy is also the founder of Crown of Beauty Magazine, and I'd highly recommend checking out all her stuff! Thanks for reading everyone! And a HUGE thank you to Livy for letting me read her book and be a part of her blog tour! p.s. I'm taking part in ANOTHER blog tour this coming week, but then I'll have a wrap-up post for Realm Makers on Saturday! Have you read The Coronation? Have you looked at Livy's Youtube channel? *whispers* her voice is GORGEOUS. Awesome review, but I worry that this isn't in my genre liking. I'll have to see. I know I read about this book somewhere. I must have stumbled across the author's blog. Often times, I'm all over the place, lol. It sounds like an interesting story, but romance isn't my favorite focus. I like romance in books when its done nicely, but I prefer it to compliment the other parts of the book. This book sounds like a must have! Once I have money I'll buy this!!! Lol, every book lover's struggle. This seems so cool! I'll have to go check it out! Ooh, this looks so amazing! I'll have to check it out! omw the same thing happened with me xD She found me on Instagram and suddenly I was seeing her everywhere and wondered if she'd had an invisibility cloak on before that made it so only I couldn't see her???? *nods* I totally understand. Romance isn't really my forte, especially as a main plot. Mostly because I've read and heard of so much unclean stuff. I'm thankful that this particular plot was clean and Christian. Aw, thank you, Melissa! I've never done a review on my blog, and this one was fun. I KNOW. Her characters are so easy to love. I've heard that she has an ongoing series called "Regal Hearts" too and I can't wait to check that one out! Hey there! I'd love to chat with you! Just please keep things clean and respectful. And I respond to every comment, so be sure to check back for my reply! writer. reader. restless dreamer. child of God. aspiring indie author. believer of hope and green flashes for everyone.